“Archives of the Balkan Medical Union” is an international, peer-reviewed journal, open access journal, engaged in publishing original and review articles of highest quality in a wide range of basic, clinical and experimental research areas, covering all aspects of human health. It is the official journal of the Balkan Medical Union (BMU) and is published 4 times a year. 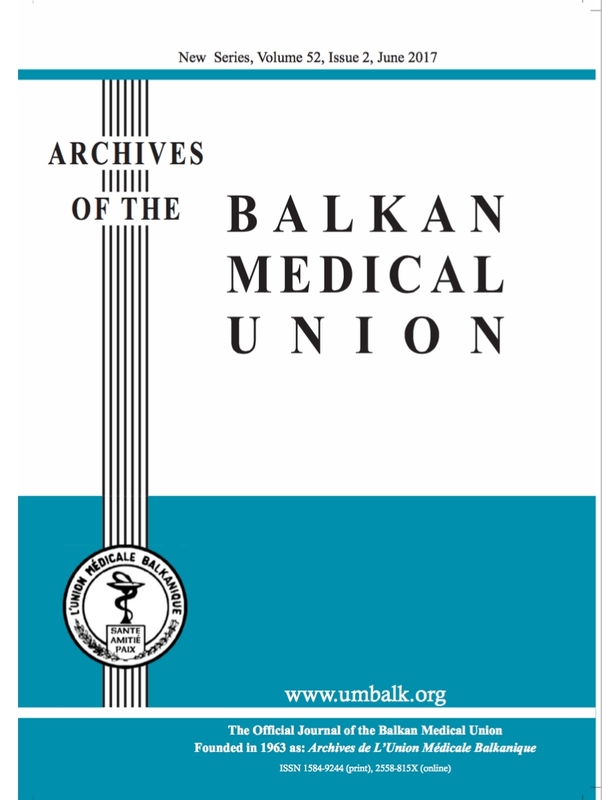 “Archives of the Balkan Medical Union” also publishes abstracts of papers presented at the annual scientific sessions of the Balkan Medical Union (BMU). The journal provides a forum for the exchange of information on all aspects of clinical and experimental medicine, including educational, historical, philosophical, economical, social, bioethics and technological issues, especially for (but not restricted to) Balkan countries.